Why not create your career with A F Blakemore & Son? The classroom, not your thing? Fancy an apprenticeship that's fast-paced, with hands-on experience and the theory to back it up that could lead to a permanent role? Whatever your interests and skills, A.F. Blakemore & Son has a role for you, whether it be driving and delivering goods to SPAR stores, problem-solving in customer services, working with computer programmes in IT, or number crunching in accounts. A.F. Blakemore & Son is a family-owned retail, wholesale and distribution business headquartered in Willenhall and services more than 1,000 SPAR stores across England and Wales. Choosing an apprenticeship with A.F. Blakemore means earning while you learn, with access to industry experts, mentored support from colleagues, professional courses provided by the company’s in-house learning and development team, as well as opportunities to get involved in community volunteering. A.F. Blakemore’s Community Affairs Officer Liz Blakemore is the key contact for apprentices across the company. Liz said: “At A.F. 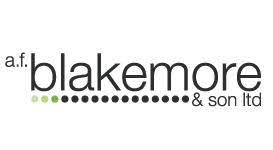 Blakemore & Son we are committed to supporting young people and encouraging them into the world of work. One way in which we do this is through our Apprenticeship Programme. “Apprentices are vital to the long-term sustainability of A.F. Blakemore and we have in place a structured and interesting programme, designed to give all apprentices a true insight into the world of work with practical hands-on experience and for the right person, a career for life. “If I had my time again, would I choose an apprenticeship rather than a degree? There is absolutely no doubt in my mind that I would go for an apprenticeship.” The company also has divisions in food service, meat production, specialty foods, design and shop fitting and graphic design.